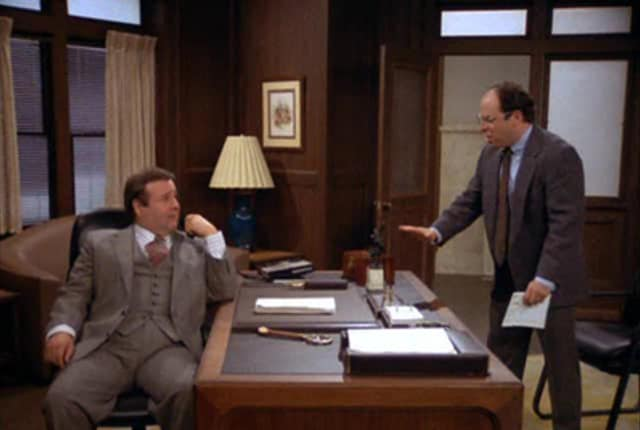 Watch Seinfeld Season 2 Episode 7 online via TV Fanatic with over 5 options to watch the Seinfeld S2E7 full episode. Affiliates with free and paid streaming include Amazon, Vudu, YouTube Purchase, Google Play, and Hulu Plus. George quits his job and immediately regrets it and tries to return to work as if nothing happened. Jerry is convinced money he had hidden in his laundry bag went missing at the laundromat. (to Kramer) You're like Lex Luthor! Permalink: You're like Lex Luthor! (to George) You can't win. You can't beat me. That's why I'm here, and you're there. Because I'm a winner. I'll always be a winner, and you'll always be a loser.